To become a Registered Diagnostic Medical Sonographer (RDMS) with certification in the Breast specialty, candidates must pass both the Sonography Principles & Instrumentation (SPI) exam and the Breast (BR) specialty exam within five years of one another. The two exams can be taken in any order and are administered by the American Registry for Diagnostic Medical Sonography (ARDMS). To apply for the exam, candidates must have appropriate medical education and clinical experience. The Breast specialty exam has 170 multiple-choice questions that must be completed within three hours. To pass the exam, test takers must achieve an overall score of 555 or above; the test is graded on a numerical range from 300 to 700. The ARDMS requires that potential exam takers prove their eligibility to take the Breast specialty exam by completing application forms and submitting supporting documentation. This includes proof of education and qualifying clinical experience, transcripts, licenses, certifications, and letters from supervising physicians or other officials. 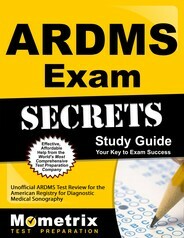 The ARDMS provides step-by-step guidelines and checklists for applying for, registering for, and scheduling both the BR specialty and SPI exams. Renewing or re-certifying applicants are subject to different requirements. Once approved by the ARDMS, exam candidates must pay any exam fees and schedule a date to sit the Breast specialty exam at a local test center. Exam results are available online immediately following the test. Candidates who do not pass the exam can apply to retest after 72 hours, but must wait 60 days before taking the exam again. Another 10% of the overall score is devoted to an “other” category, which includes MRI appearance in implant leakage and cancer nodes, ductography, sentinel node procedure, histology, and implants. Exam questions cover applied knowledge of equipment, breast evaluation techniques, ultrasound, mammography and magnetic resonance imaging (MRI), indications, abnormalities, diseases, masses and cysts, and invasive procedures. Numerous online and print resources are available to those preparing for the Breast specialty examination for the RDMS credential. 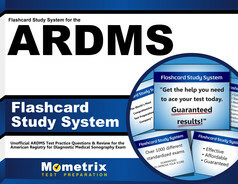 Most study guides include practice tests, content outlines, sample questions, and test-taking techniques.